It’s very satisfying to see my headshot clients using the images we created together in so many different ways. A very successful real estate developer who specializes in buying, improving, and selling homes on the north shore of Boston, called me to create a new headshot for him to use on his web site, business cards, billboards, you name it. I could tell instantly on the phone that Dave Potter was going to be a great guy to work with. Full of life and enthusiasm, Dave has a real passion for what he does, and we instantly hit it off. He’s just a great guy. 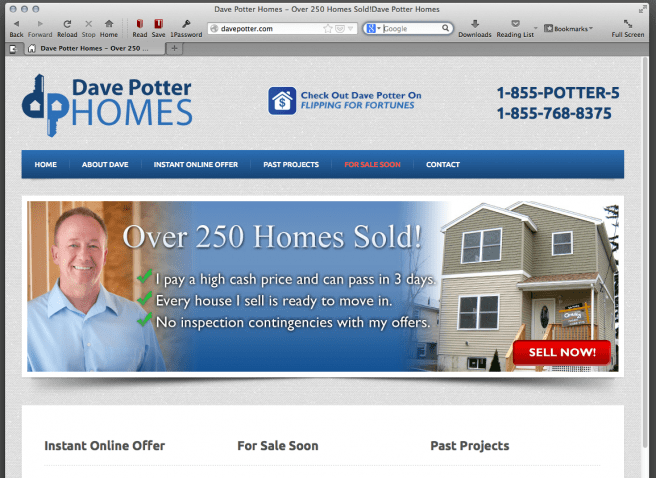 Check out how he used his new headshot on the home page of his new web site below. After being a father and husband, I love spending my time making people look good and helping them succeed with great images.